This is not fake news. Chipotle now has queso. Released September 12 across the United States, Mexican food chain Chipotle has cheese lovers speeding to their nearest location to get the new Genuine Queso. This highly anticipated sauce can be drizzled on a burrito or bowl for $1.25* or it can be ladled into a regular cup ($2.05*) or large cup ($5.25* with large chips) for dipping. Other mexican fast food chains such as Hot Head and Qdoba have had queso for much longer, so what took Chipotle so long to conform? The answer is real food. Produced without added colors, preservatives, flavors, or genetically modified organisms (GMOs), this queso meets the requirements of their responsible production. It takes lots of trial and error to make a successful product out of those limited ingredient options. The cheese meets all of Chipotle’s requirements, except one. It’s simply not that good. To begin, the queso itself is grainy. This could be from any number of reasons. The proportions of the base could be off; if there is too much flour in the roux, it has a tendency to not cook properly and result in grittiness. If lemon and lime juice were added during the cooking process, there is a strong chance the acidity caused separation. The texture issue could be an ingredient problem, but it could also be a chef problem. Because the queso is cooked in batches and by different chefs, variations are possible. Any cheese sauce can become grainy if the cheese is added to the base of the sauce too fast—causing the protein to clump and create an undesirable texture. The queso also lacks a creamy cheesy flavor. The flavor is smoky and has a kick that ignites the back of the mouth and throat but it doesn’t taste rich, smooth or delicious like a queso sauce should. Paired with the rest of Chipotle’s fresh ingredients in a bowl or burrito, the sauce is too fatty to feel good about eating. Not to mention, a red-orange greasy layer formed on the cheese and it separated minutes after it was ladled into a cup. The sauce doesn’t have enough flavor to compliment the bold flavors of meat or salsa and only masks them with oily fat. It knocks down a degree of freshness and makes the dish too heavy to enjoy. Thankfully, there are some elements of the product to appreciate. Personally, I loved the dull burn it left in my throat and the subtle tangy-ness from hints of lemon and lime. There is touch of cumin creating an earthy flavor that pairs well with their salsa. I would be willing to give this product another try in a month. There’s a chance that the sauce is improperly cooked by workers who don’t have the experience they need. Also, because real, fresh ingredients are being used, each batch will be a little different. 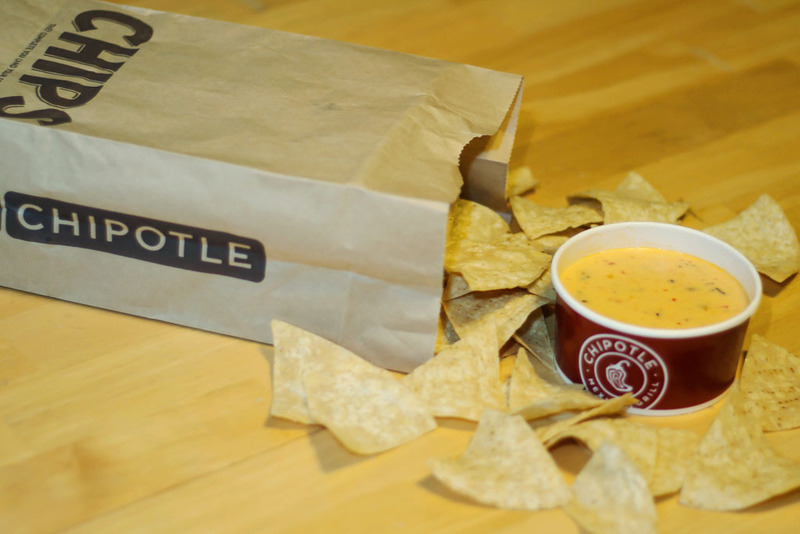 With some modification, Chipotle could find themselves with a cheese champion. But for now, this is not a product I would put on my bowl.